The Cavern is at 524 Forest Road, Walthamstow E17. Walls of Heartache. 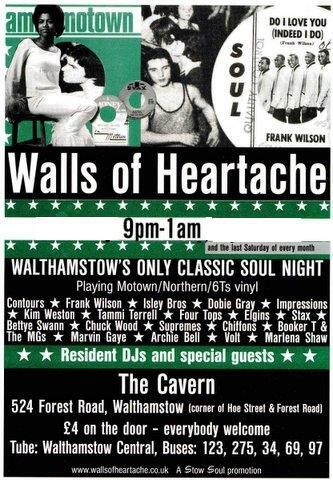 WALTHAMSTOW’S CLASSIC SOUL NIGHT, Playing Motown/Northern/6Ts vinyl.